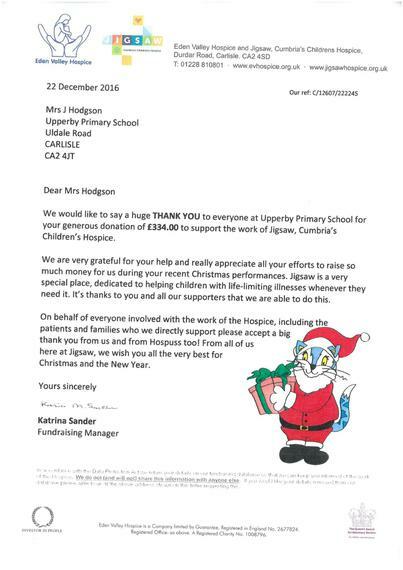 Eden Valley Hospice would like to say Thank You for the generous donations over Christmas for the Jigsaw Appeal. In total we raised £334 which has gone towards helping patients and their families! Please find below a copy of the letter that was sent to us.